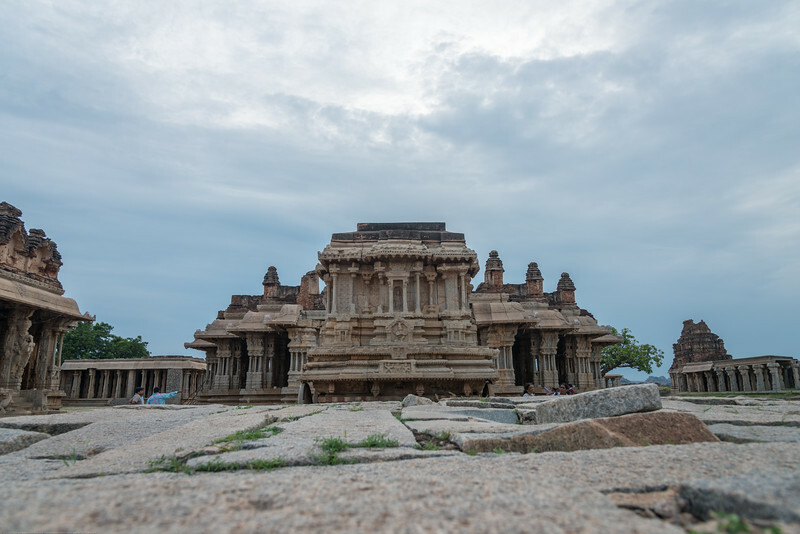 The Queen’s Bath in Hampi is a colossal bath that exemplifies the architectural excellence prevalent during the days of the Vijayanagara Empire. 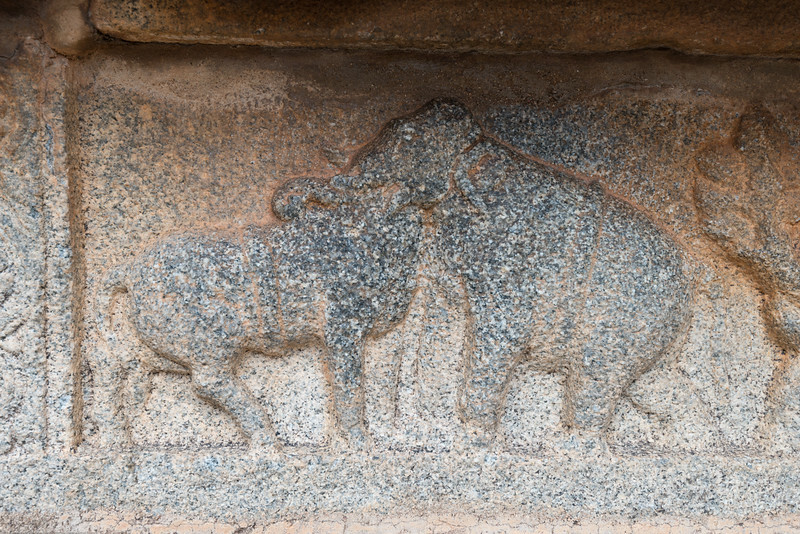 It is located close to the entrance of the Royal Enclosure in Hampi. 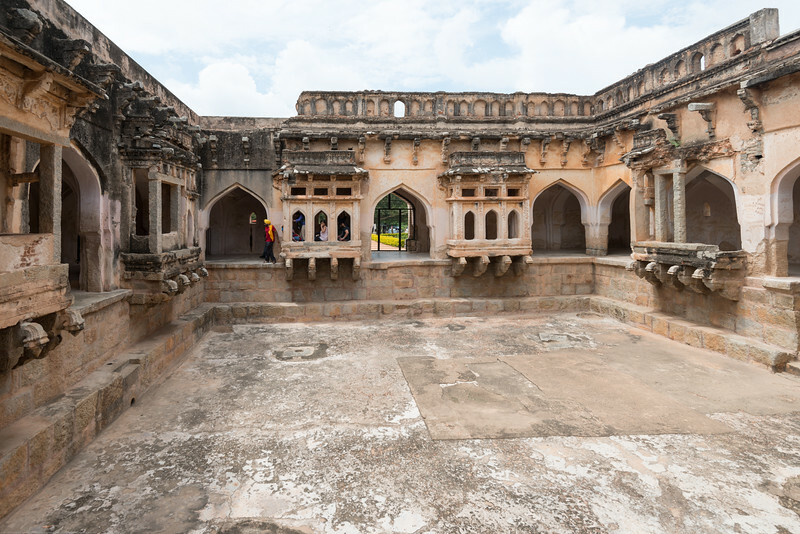 Constructed during the reign of the Vijayanagara Empire, the Queen’s Bath impresses visitors even today, more than 500 years after it was built. 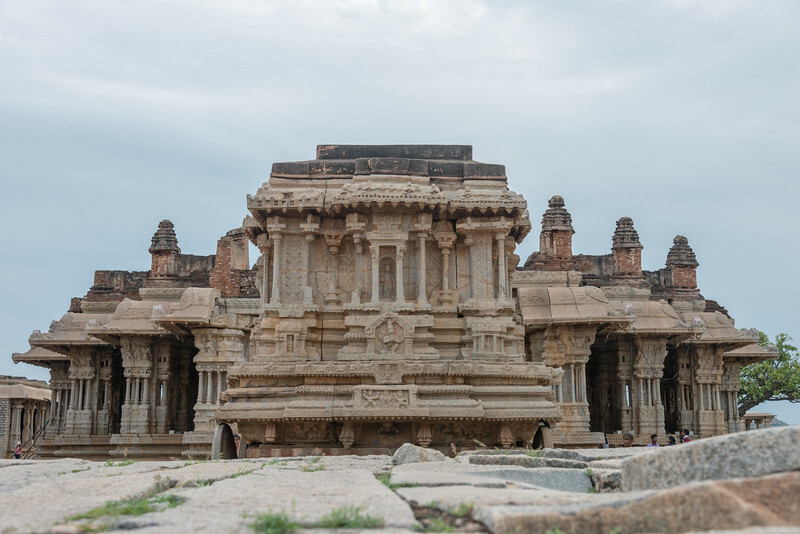 The Queen’s Bath in Hampi is a colossal bath that exemplifies the architectural excellence prevalent during the days of the Vijayanagara Empire. 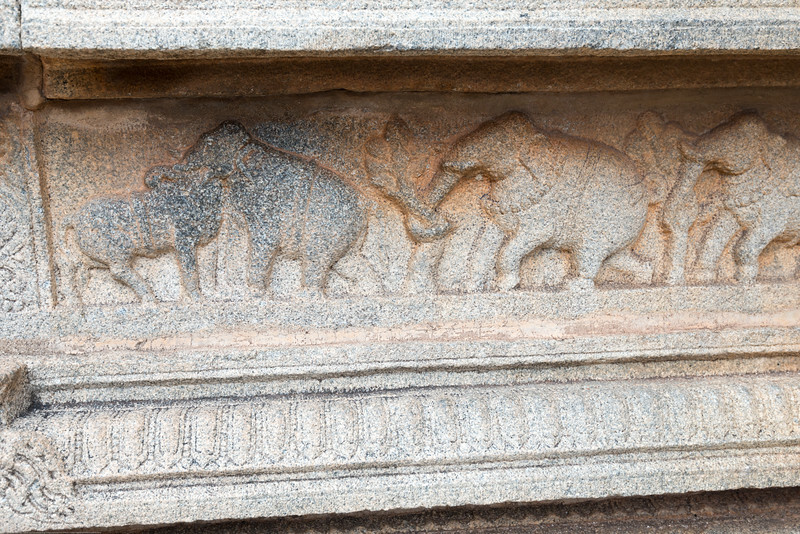 It is located close to the entrance of the Royal Enclosure in Hampi. 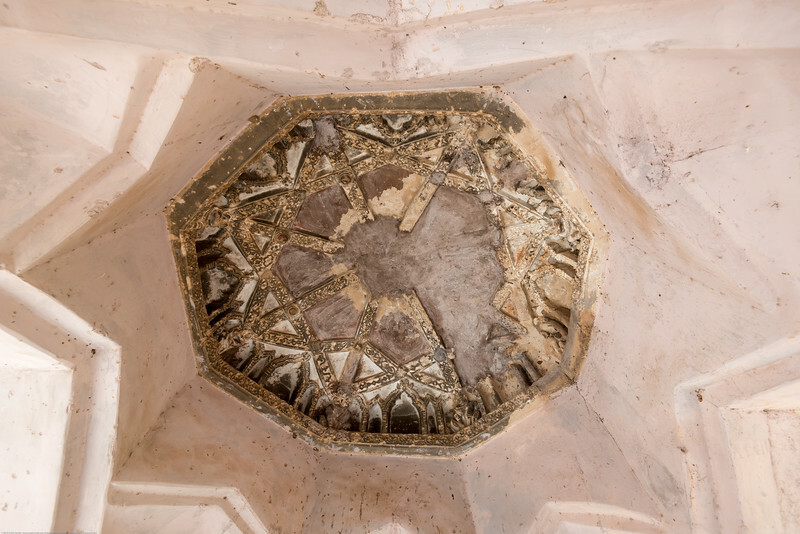 Each arched bay surrounding the bath is decorated with intricate carved stucco ornamentation on the ceilings and the vaults placed above the arched bays. There are stone steps that lead down to the floor of the bath. However, there is no ceiling over the bath and it is open to the sky. 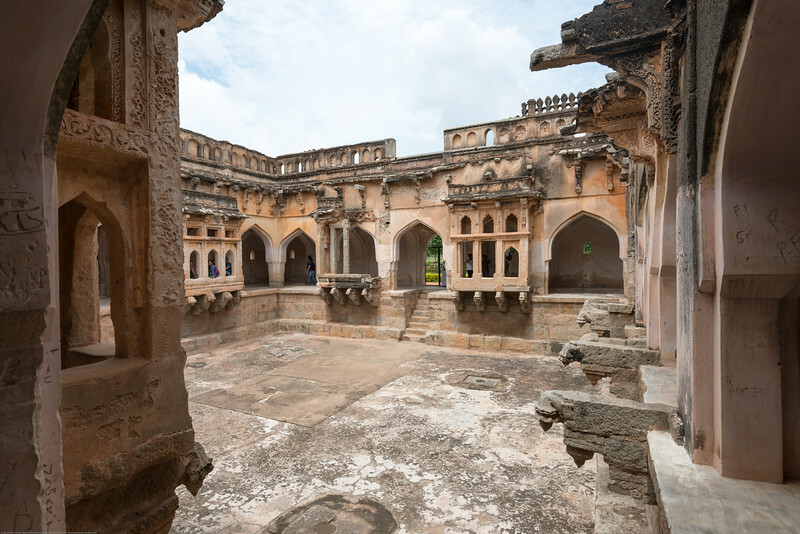 Constructed during the reign of the Vijayanagara Empire, the Queen’s Bath impresses visitors even today, more than 500 years after it was built. 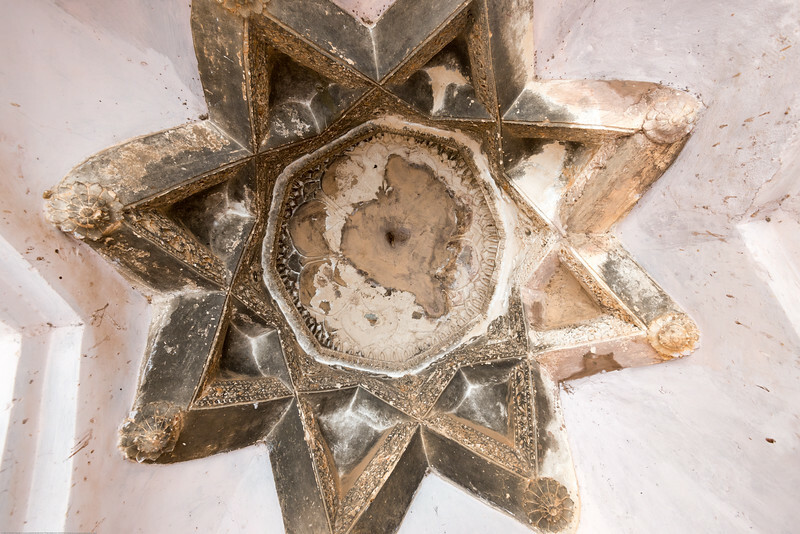 Ceiling decoration at the Queen’s Bath in Hampi. 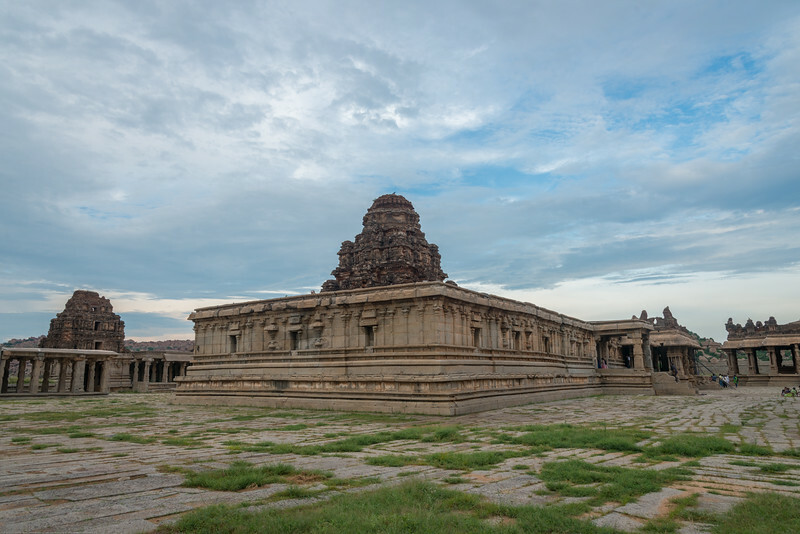 This is a colossal bath that exemplifies the architectural excellence prevalent during the days of the Vijayanagara Empire. 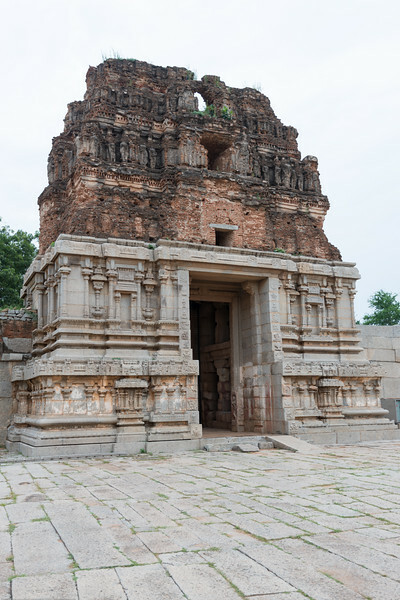 It is located close to the entrance of the Royal Enclosure in Hampi. 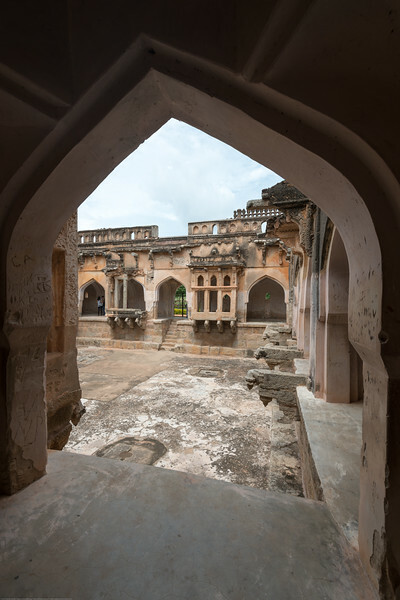 Each arched bay surrounding the bath is decorated with intricate carved stucco ornamentation on the ceilings and the vaults placed above the arched bays. There are stone steps that lead down to the floor of the bath. However, there is no ceiling over the bath and it is open to the sky. 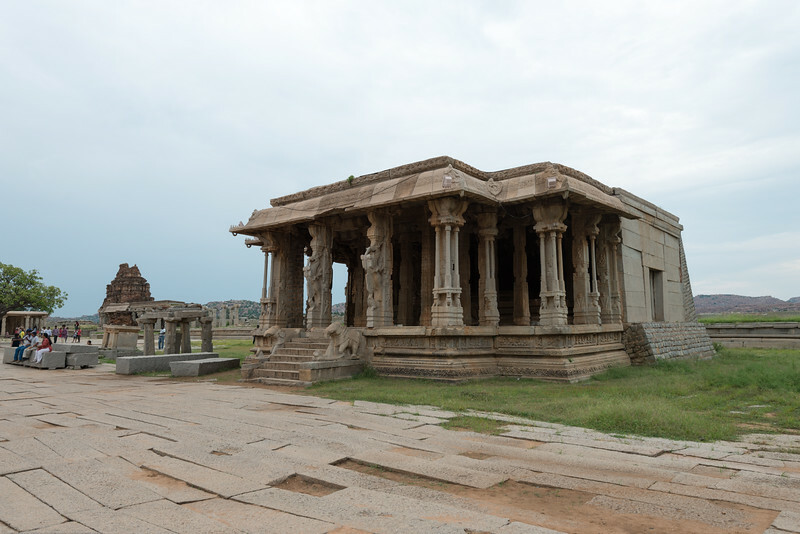 The Queen’s Bath in Hampi is a colossal bath that exemplifies the architectural excellence prevalent during the days of the Vijayanagara Empire. Ceiling decoration show the workmanship. 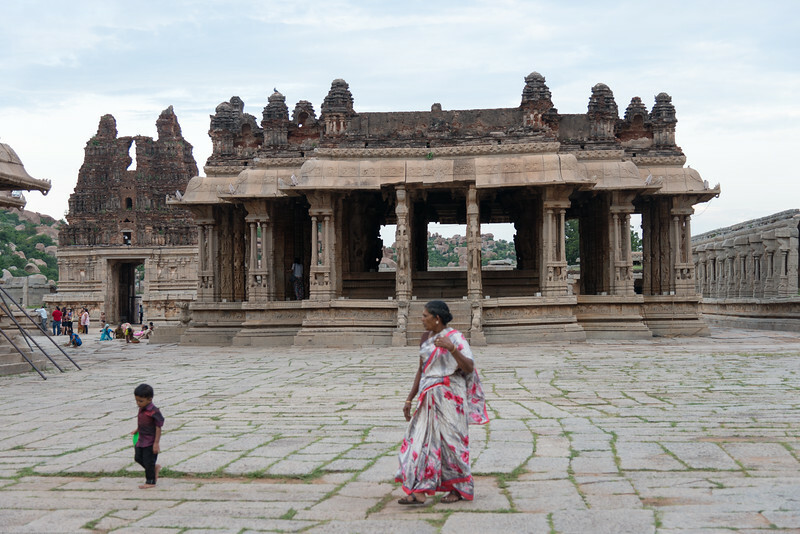 The bath is located close to the entrance of the Royal Enclosure in Hampi. 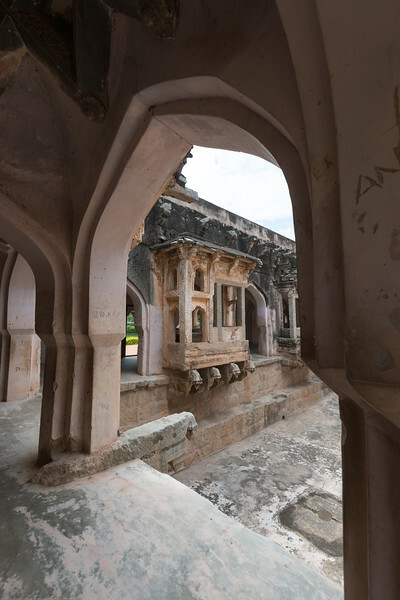 Each arched bay surrounding the bath is decorated with intricate carved stucco ornamentation on the ceilings and the vaults placed above the arched bays. There are stone steps that lead down to the floor of the bath. However, there is no ceiling over the bath and it is open to the sky. 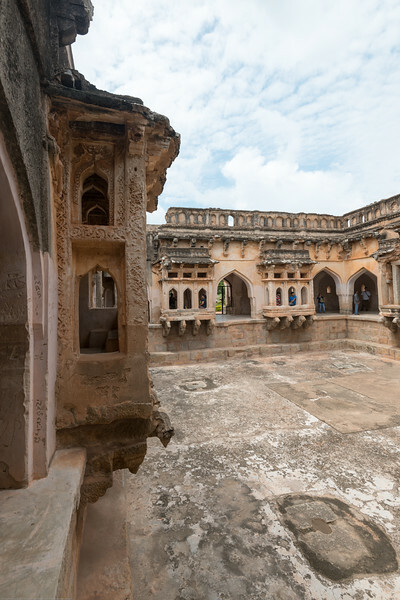 The Queen’s Bath in Hampi is a colossal bath that exemplifies the architectural excellence prevalent during the days of the Vijayanagara Empire. 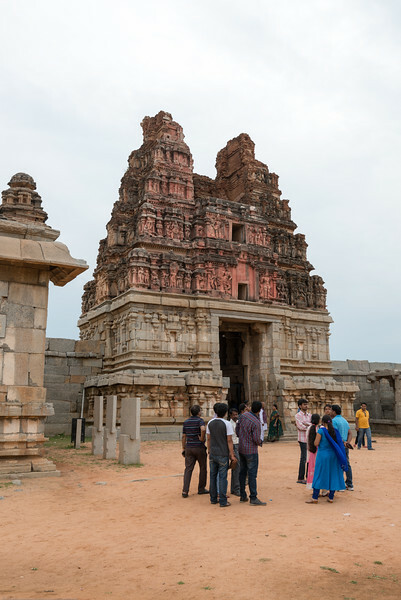 It is located close to the entrance of the Royal Enclosure in Hampi. 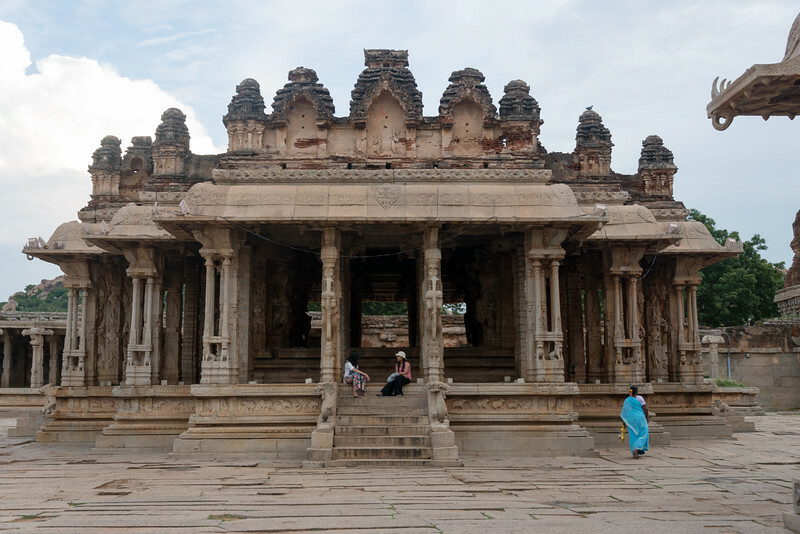 Vittala Temple is the most extravagant architectural showpiece of Hampi. 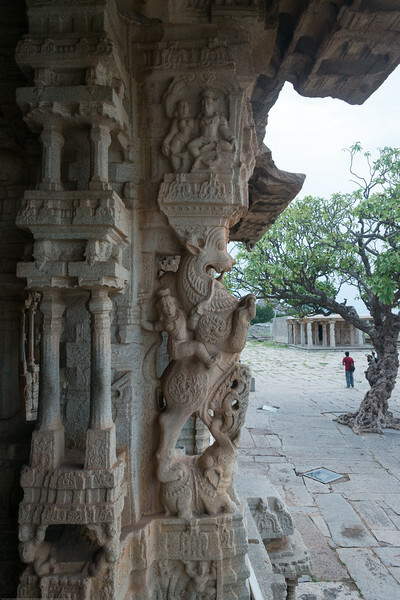 The temple is built in the form of a sprawling campus with compound wall and gateway towers. There are many halls, pavilions and temples located inside this campus. 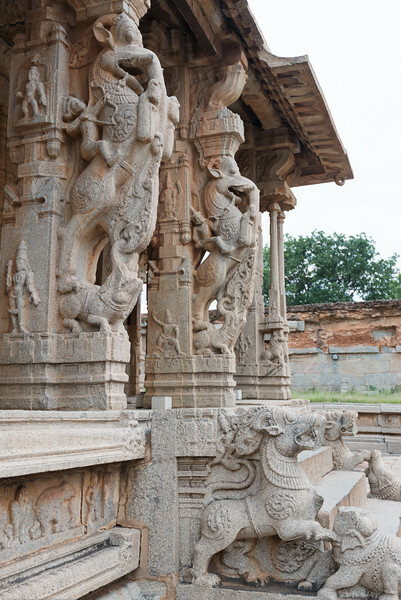 Vittala, after whom the temple is known, is a form of Lord Vishnu. The temple was originally built in the 15th century AD. Many successive kings have enhanced the temple campus during their regimes to the present form. 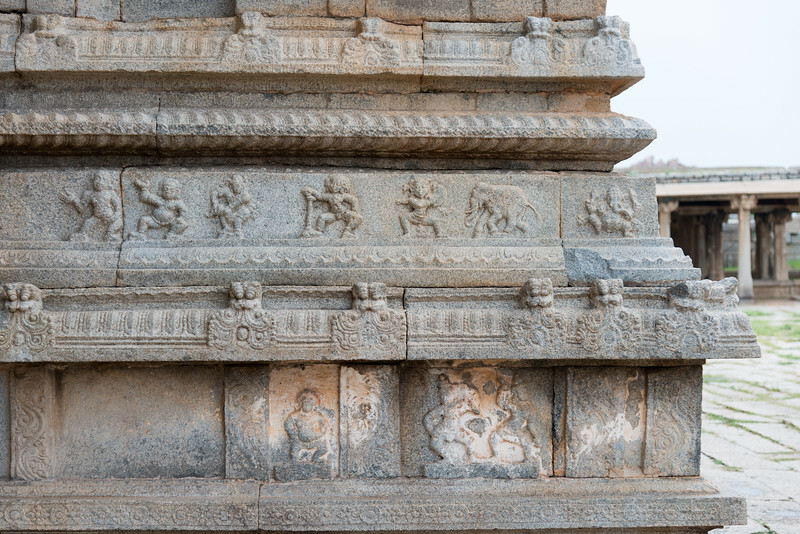 Stone carvings at Vittala Temple which is the most extravagant architectural showpiece of Hampi. Vittala, after whom the temple is known, is a form of Lord Vishnu. The temple was originally built in the 15th century AD. 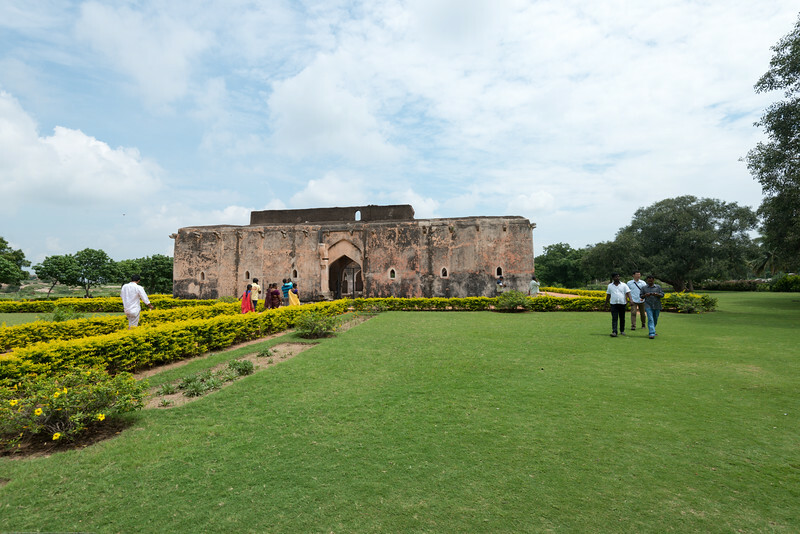 Many successive kings have enhanced the temple campus during their regimes to the present form. 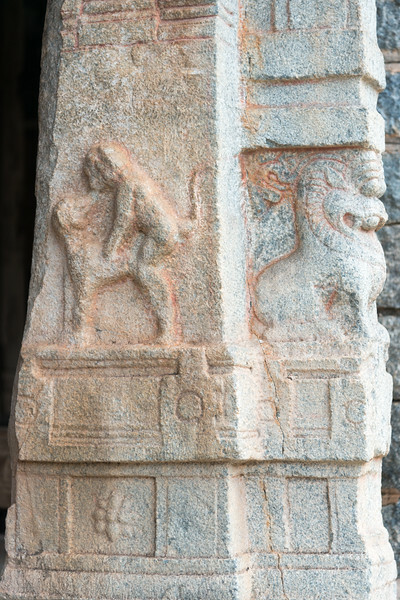 Vittala Temple stone carvings. 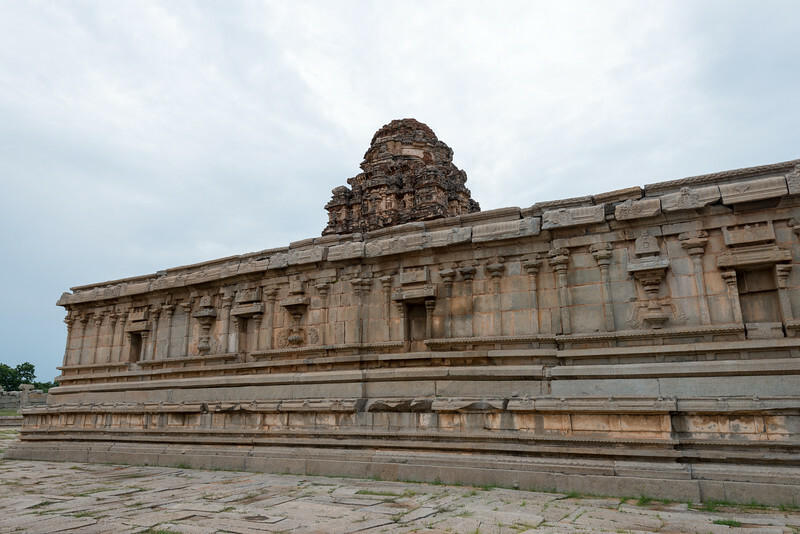 Vittala Temple is the most extravagant architectural showpiece of Hampi. 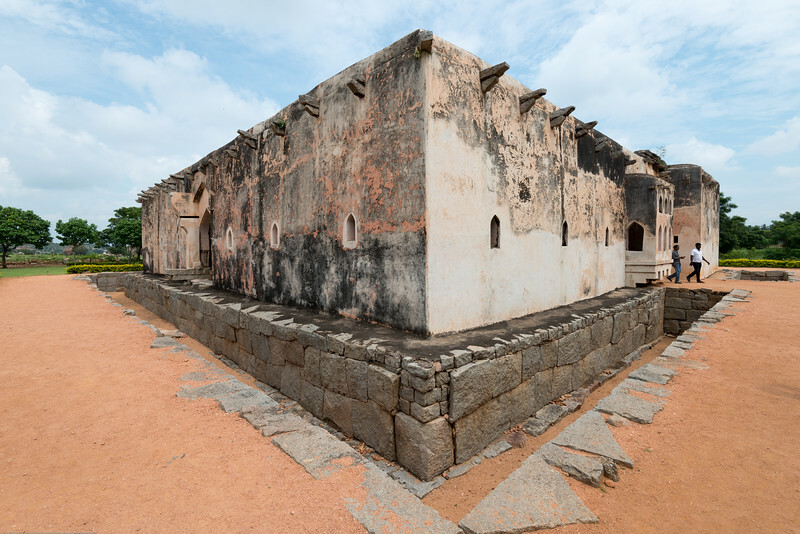 The temple is built in the form of a sprawling campus with compound wall and gateway towers. There are many halls, pavilions and temples located inside this campus. Vittala, after whom the temple is known, is a form of Lord Vishnu. 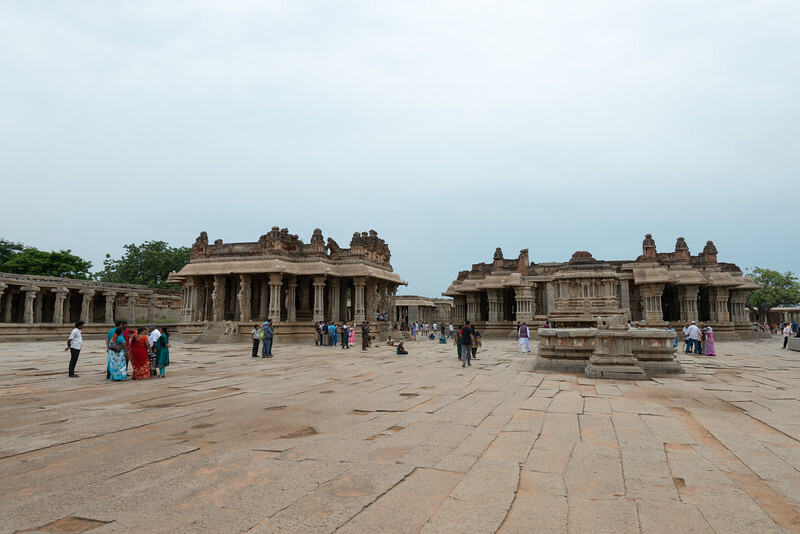 Panoramic view of the Vittala Temple. 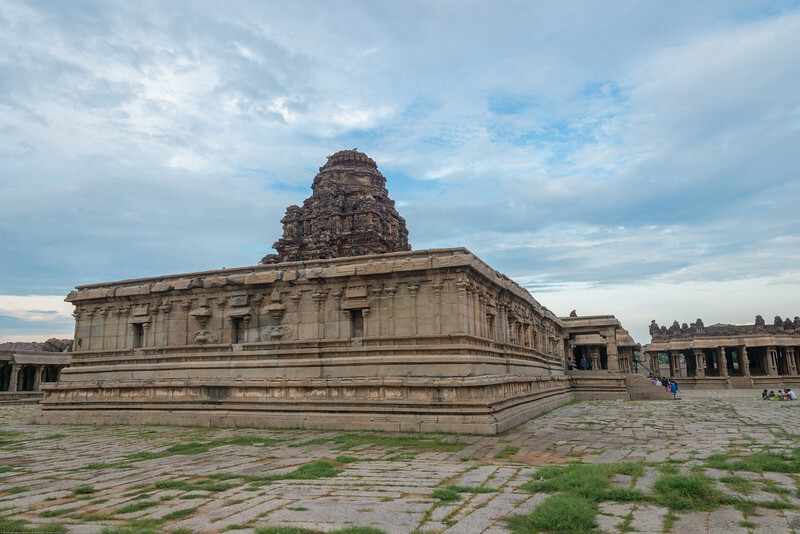 The temple is built in the form of a sprawling campus with compound wall and gateway towers. There are many halls, pavilions and temples located inside this campus. Vittala, after whom the temple is known, is a form of Lord Vishnu. 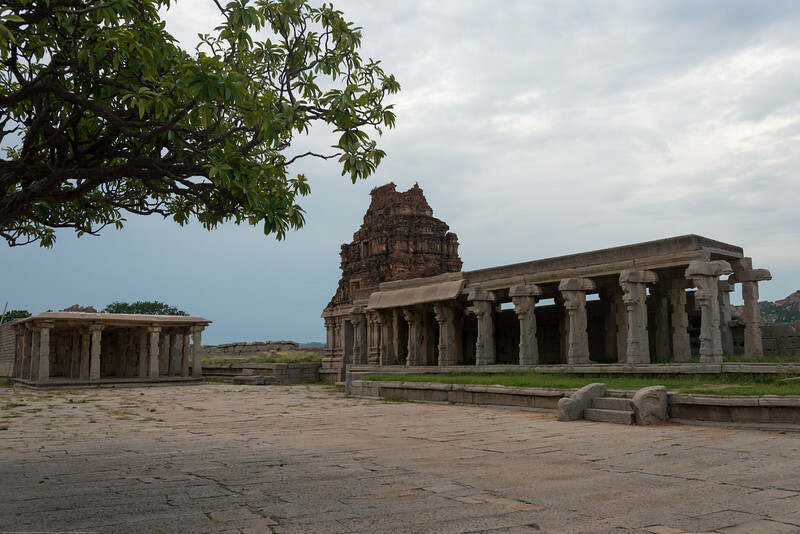 Hampi, Karnataka is a world famous UNESCO World Heritage Site. 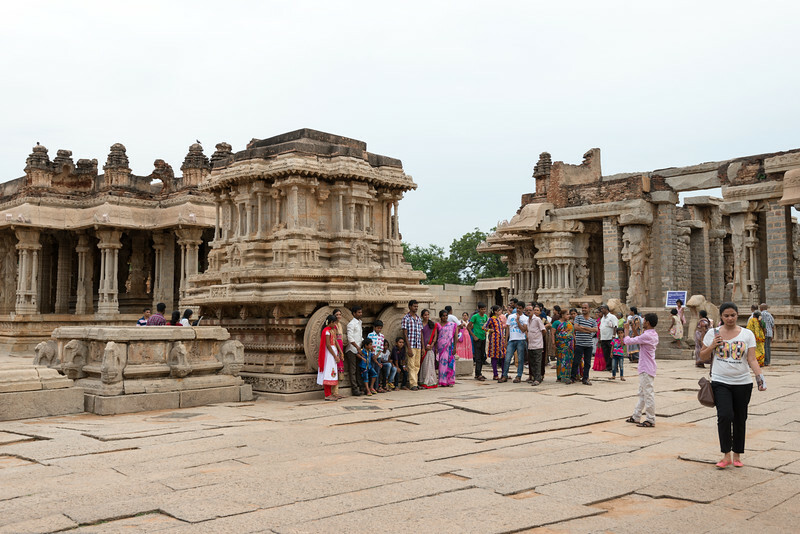 Panoramic view of the Vittala Temple. 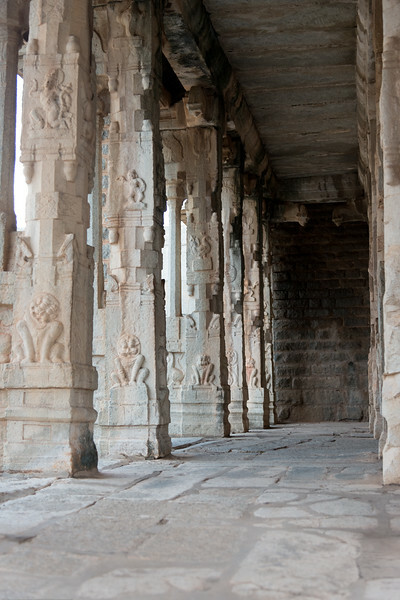 Vittala Temple is the most extravagant architectural showpiece of Hampi. 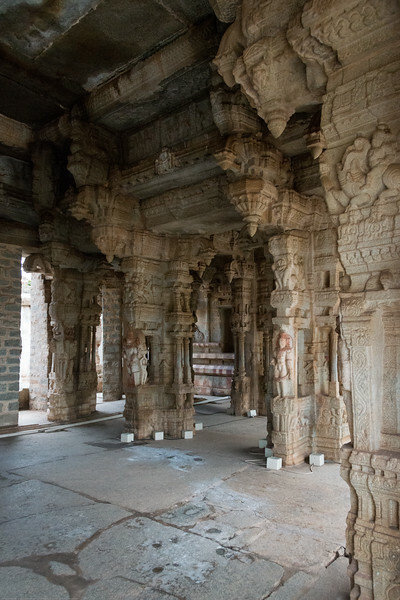 The temple is built in the form of a sprawling campus with compound wall and gateway towers. There are many halls, pavilions and temples located inside this campus. 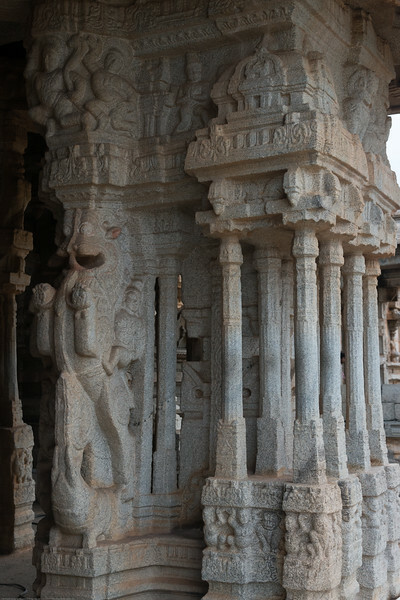 Vittala, after whom the temple is known, is a form of Lord Vishnu. The temple was originally built in the 15th century AD. Many successive kings have enhanced the temple campus during their regimes to the present form. 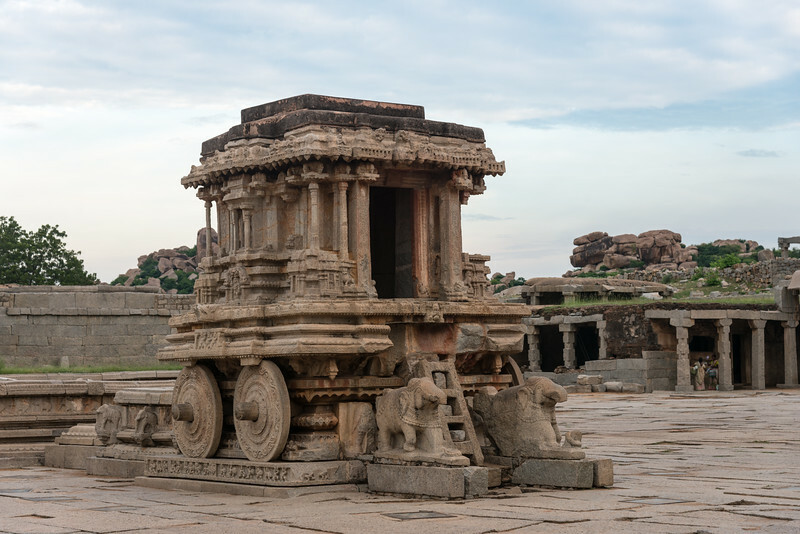 Hampi, Karnataka is a world famous UNESCO World Heritage Site. 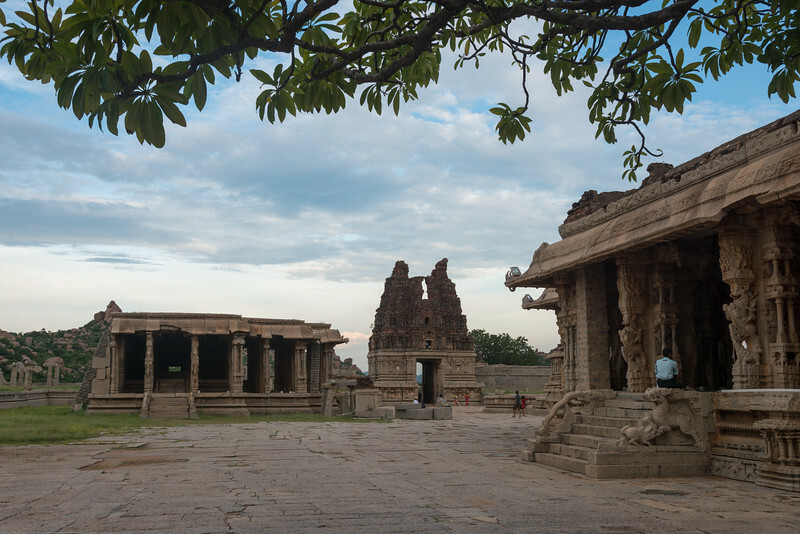 Panoramic view of the Vittala Temple. 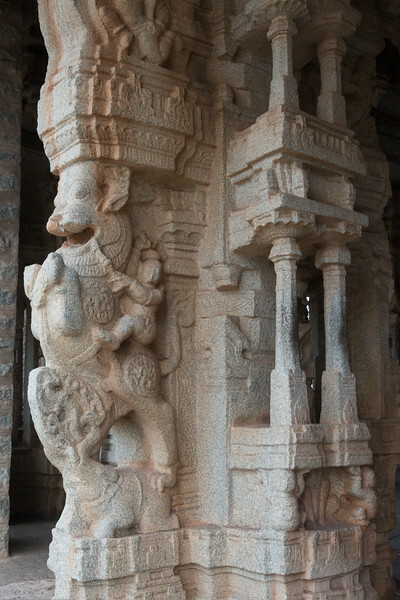 Vittala Temple is the most extravagant architectural showpiece of Hampi. 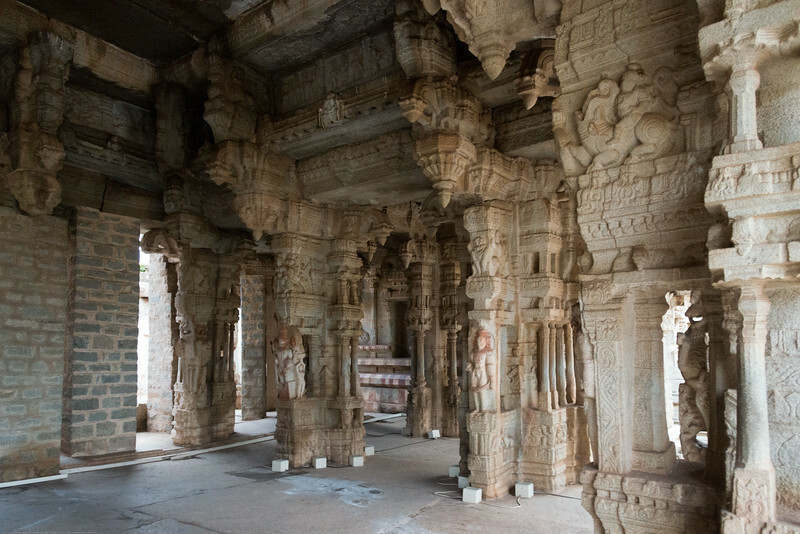 The temple is built in the form of a sprawling campus with compound wall and gateway towers. There are many halls, pavilions and temples located inside this campus. 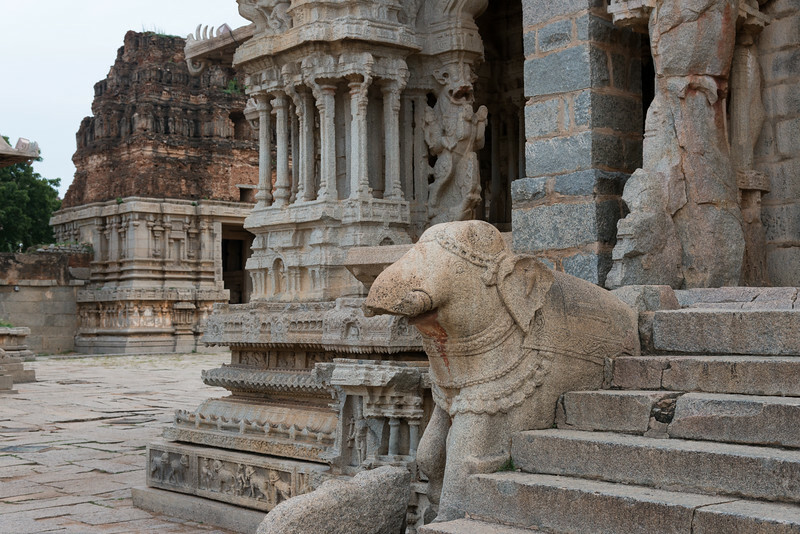 Vittala Temple is the most extravagant architectural showpiece of Hampi with delicate carvings and columns. 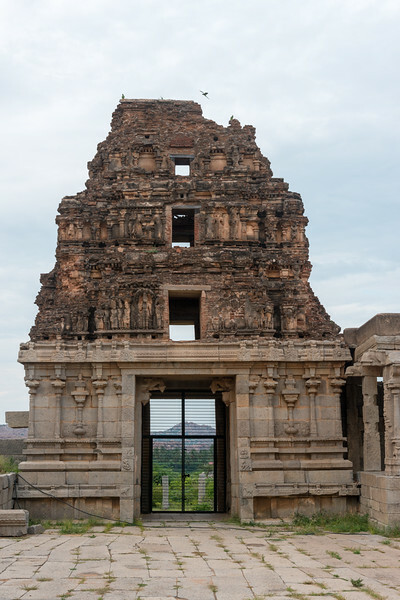 Panoramic Vittala Temple view. 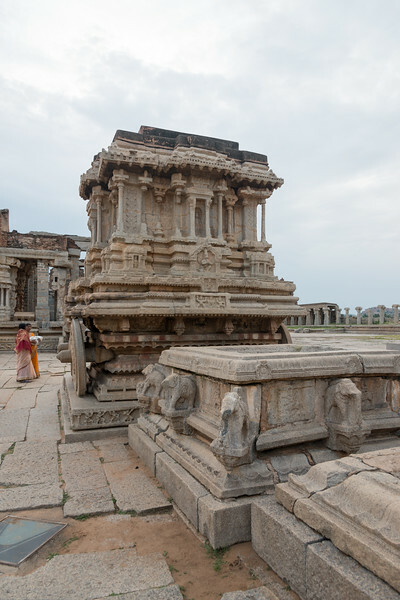 Vittala Temple is the most extravagant architectural showpiece of Hampi. 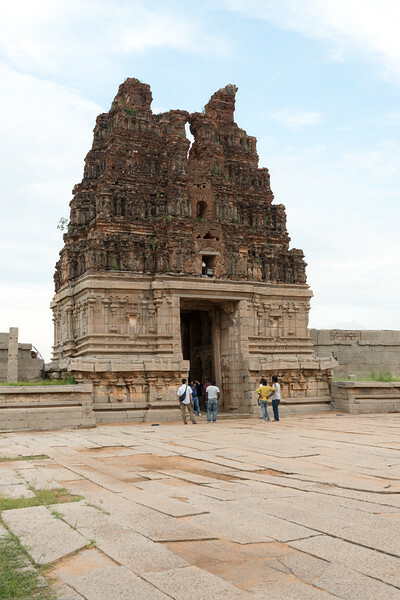 The temple is built in the form of a sprawling campus with compound wall and gateway towers. There are many halls, pavilions and temples located inside this campus. 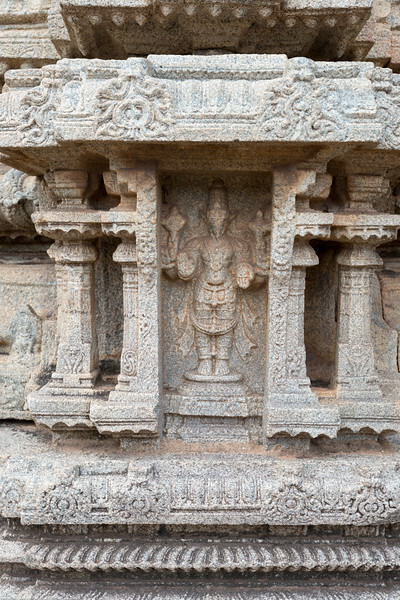 Vittala, after whom the temple is known, is a form of Lord Vishnu. The temple was originally built in the 15th century AD. Many successive kings have enhanced the temple campus during their regimes to the present form. 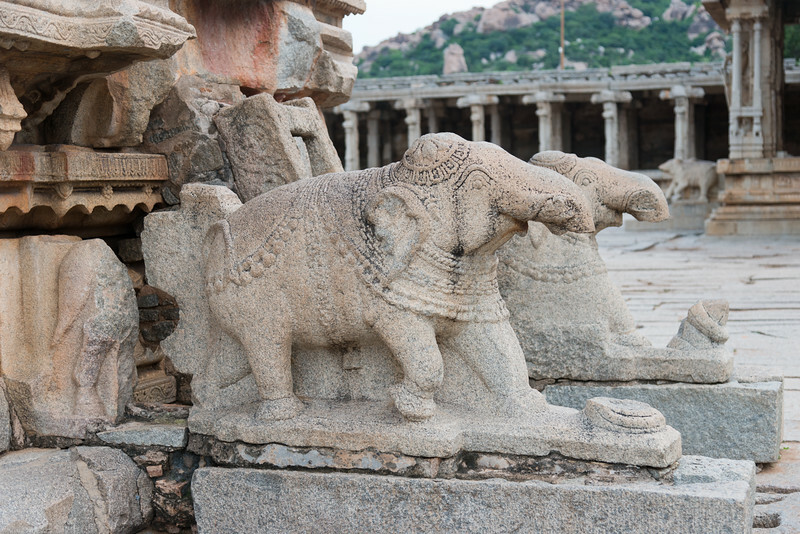 Hampi, Karnataka is a world famous UNESCO World Heritage Site. 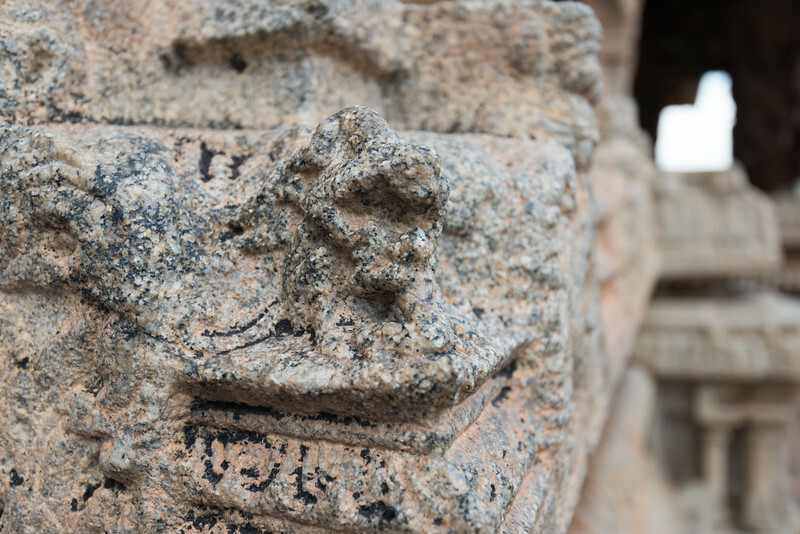 Vittala, after whom the temple is known, is a form of Lord Vishnu. The temple was originally built in the 15th century AD. 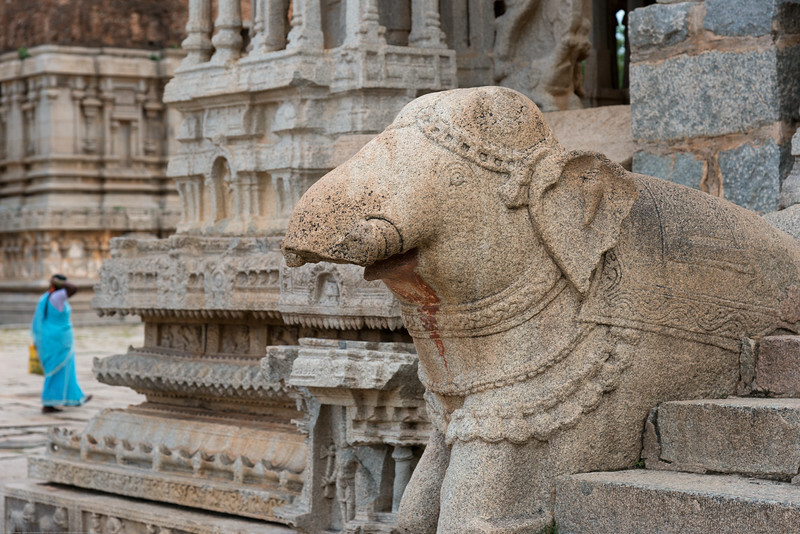 Hampi, Karnataka is a world famous UNESCO World Heritage Site. 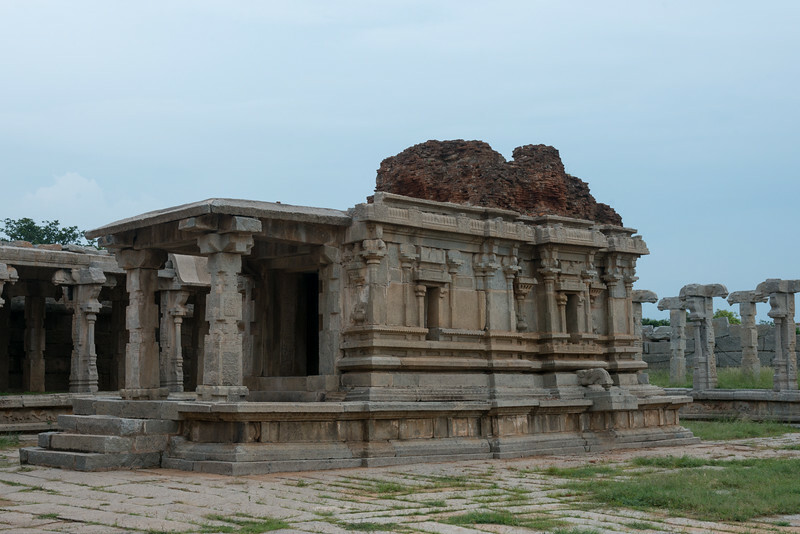 Hampi was one of the largest and richest city in the world during its prime time.